Dominique Saint Paul makes two styles of so called correspondent shoes, full and half brogues. Pictured here are correspondent half brogues – which means the shoes have toe caps instead of the sweeping wing tips as seen on full brogue shoes. The correspondent style is thought to originate from the shoes worn by journalists and reporters in the 1950’s. The style is often characterised by using two colours on the upper or even two different materials – for example suede and grain leather. Dominique Saint Paul make these and regular brogue shoes for both ready to wear and made to order. With our made to order service the customer chooses from 13 sizes and for each size we have 5 width fittings. Furthermore the customer chooses the leather and colours for the upper and soles. 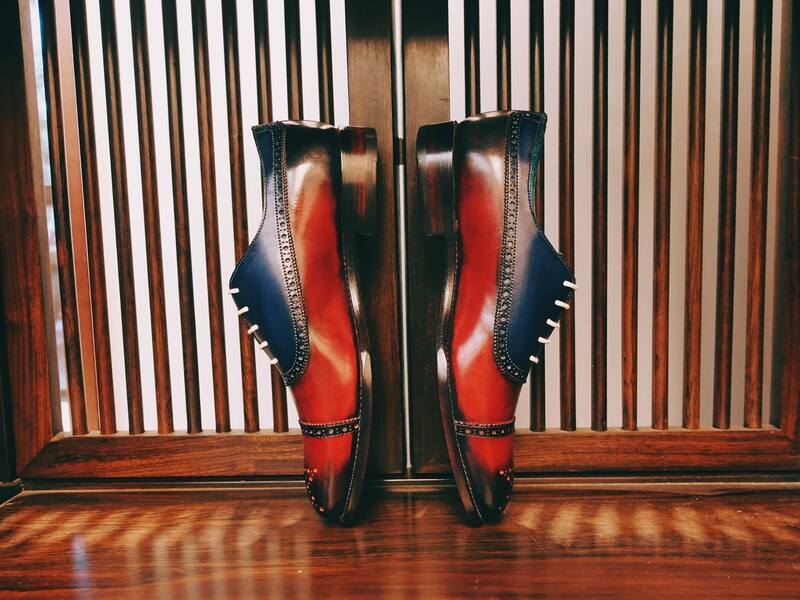 We colour the leather by hand with a traditional process using alcohol dye colours from Italy. We accept orders also by email for made to order shoes. Our experienced staff will guide you carefully through the sizing process in case you cannot visit our store in Ho Chi Minh City, Vietnam, to ensure that you get the correct fit and comfort. We also have an online shop for leather goods which you can see here: click here please. International orders are shipped by Fed Ex. International orders can be paid for securely with peace of mind using PayPal – in that case payment is easy and convenient, using your credit card (you do not need to have your own PayPal account) and we never see or retain your credit card details. 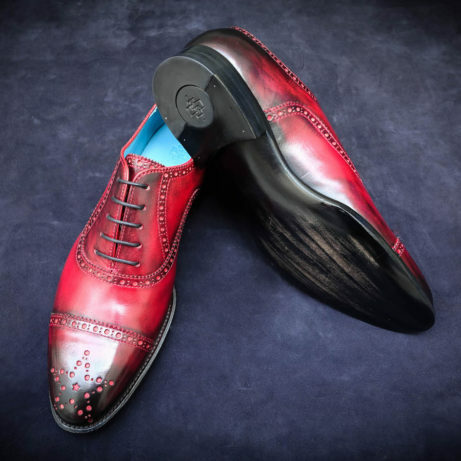 See the full range of luxury shoes and leather goods that we make here on this website. Dominique Saint Paul brings you artisan craftsmanship – right here in Saigon. We help you to bring your own style to life with your choice of colour.